The prominent family lawyer and defender of animal rights is trying to persuade the Quebec Superior Court to quash a euthanasia order and allow the dog to be moved to a refuge for dangerous dogs in the U.S.
A Montreal lawyer is trying to persuade the Quebec Superior Court that a dog should not be euthanized after it attacked six people, including four children, in Montreal North last year. Anne-France Goldwater, a prominent family lawyer and well-known defender of animal rights, is asking the court to spare the dog's life and allow it to be moved to a shelter for dangerous dogs in the state of New York. The dog, described by police at the time of the attack as an 18-month-old American pitbull weighing 70 pounds (about 32 kilograms), had a history of aggressive behaviour. Goldwater explained to the court that the reason the dog was not with its owner on the day of the attack was because the woman had just had an emergency C-section and was not able to take care of it. According to a police report, on Aug. 20, 2018, a 62-year-old woman in Montreal North took in the dog, with the intention of eventually turning it over to the SPCA. The dog's owner had advised the woman that the animal had to wear a muzzle 24 hours a day, because the dog had already bitten another dog in a park. While the woman was caring for four children, the dog freed itself from the muzzle, biting the woman's four-year-old granddaughter. The woman locked the dog in her apartment and took the girl to hospital, leaving the other three children alone in the house with the dog trapped between two doors in the home's entrance. The four-year-old received 16 stitches to close her head wounds, police said. Later that same day, the dog got loose and attacked the other children, biting the girl's seven-year-old brother hard enough to break his arm. The woman and a neighbour who came to help both suffered minor injuries. Police seized the animal, warning that the woman could face charges of criminal negligence. 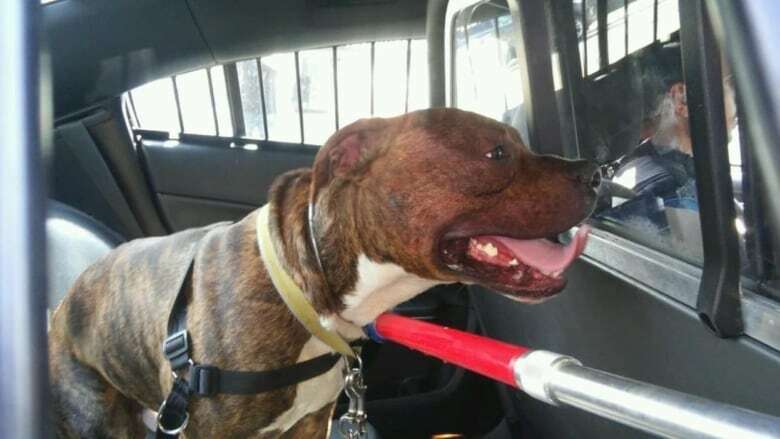 Any dog that bites and lacerates more than one person must be put down, under the terms of the City of Montreal's animal control bylaw. However, that euthanasia order was put on hold while the case was under investigation. 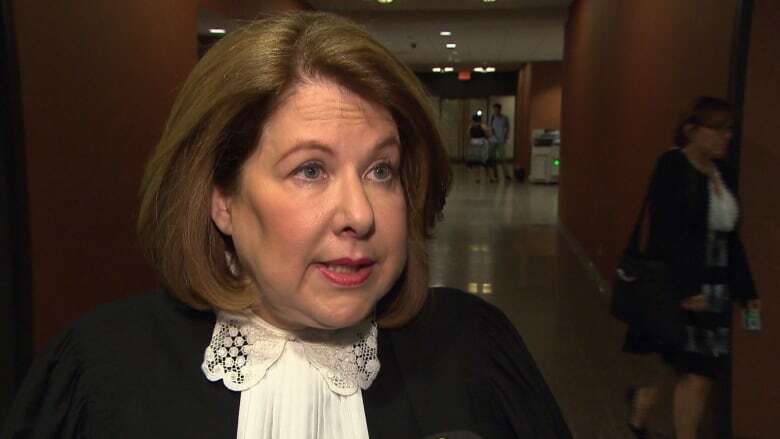 Earlier this week, Quebec's Director of Criminal and Penal Prosecutions announced no charges would be laid against the woman who took in the dog. Goldwater told the court she would never suggest a solution that would jeopardize people's lives. "I'm an animal rights activist, and my favourite animal is the human animal." "Historically, and the court might find this amusing, if you go back to the Middle Ages ... they used to put animals on trial," Goldwater told the court. "I'd like to think that we've evolved since that time." The prosecution is presenting its arguments this afternoon.